An abrasive itinerary of the presence of women, the landscape, and obsession. Such are the internal paradigms that went through the compelling life of the post-impressionist painter Vincent van Gogh. Not flesh and blood women, but the woman as a guide: Mrs. Jones, the woman as a mother; Kee Vos; Christine Hoornik of Siena; Margot Begemann. The portrait-women such as Augustine Roulin and Madame Ginoux. And then the backgrounds, endless, unforgettable in this genius's works: Isleworth, Amsterdam, le Borinage, Arles, St. Remy, Auvers-sur-Oise, where Vincent van Gogh spent his life trying to capture the colors, the atmosphere, the light. 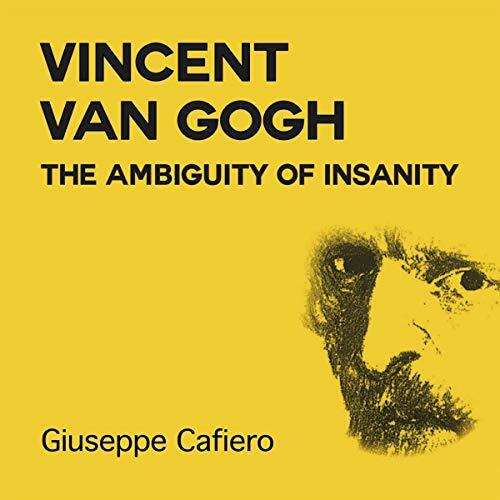 Vincent Van Gogh: The Ambiguity of Insanity is a fictionalized biography and gripping novel of the life of the 19th-century Dutch painter Vincent van Gogh. The author, Giuseppe Cafiero, draws a psychological portrait of the post-impressionist painter through the women that marked his life and the cities in which he lived.